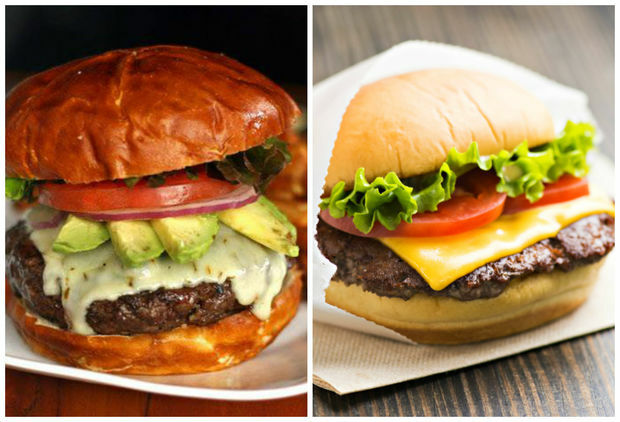 Both known for their burgers, Kuma's Corner and Shake Shack open in Fulton Market Wednesday. FULTON MARKET — Let the burger wars begin. Both known for their tasty burgers, Kuma's Corner and Shake Shack will officially open their new Fulton Market restaurants to the public Wednesday. The Heavy metal-themed burger spot and New York-based burger chain join a number of other much-buzzed burger joints in the neighborhood, including award-winning Au Cheval, Grange Hall Burger Bar and Umami Burger. Kuma's Corner, located at 832 W. Fulton Market in the new Punch Bowl development, will open at 11:15 a.m. Wednesday, owner Ron Cain said. In celebration of the restaurant's grand opening, Kuma's will offer up an Open Air burger, named for the Open Air fest that Kiss, Korn, Ozzy Osbourne and Megadeath are set to rock in July at Toyota Park in Bridgeview. The Open Air burger, a one-day special, features a 10 oz. beef patty, raspberry jalapeno jam, cheddar cheese, applewood smoked bacon, crispy potato strings, deep-fried chorizo and cream cheese stuffed breaded jalapeno ($17), Cain said. In addition to Kuma's lengthy burger menu and ever-changing burger of the month, Cain said the West Loop Kuma's will also offer up a salmon sandwich, wedge salad and the now-permanent chicken and waffle burger. The 3,800-square-foot restaurant is "a hybrid" of the three existing Kuma's locations — the original Avondale restaurant at 2900 W. Belmont Ave., that opened in 2005; Kuma's Too in Lakeview and Kuma's Schaumburg. Kuma's Corner has been named to a number of top burger lists in the past. 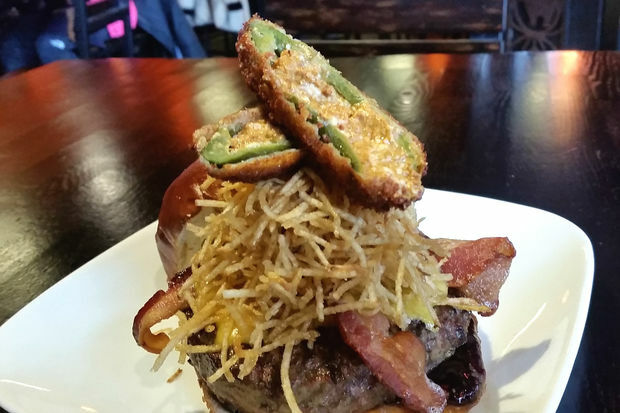 In 2014, the Kuma Burger was named The Daily Meal's "Best Burger in America." Shake Shack will also open its fourth Chicago-area location at 11 a.m. Wednesday at 185 N. Morgan St. in red-hot Fulton Market. To celebrate the Fulton Market shack's grand opening, the first 50 guests in line will get a free custard concrete Wednesday. 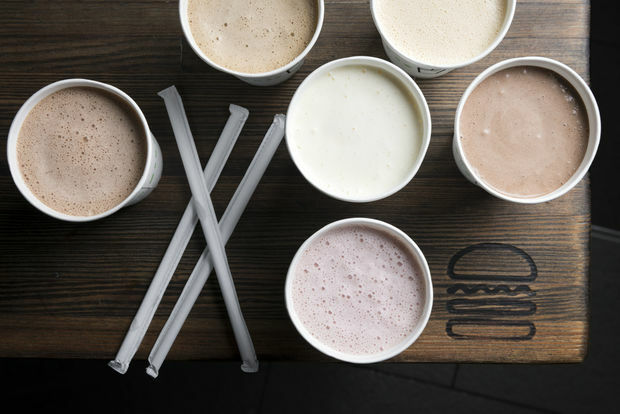 The Fulton Market Shake Shack will serve up all of the eats the chain is known for, including all-natural Angus beef burgers, chicken, griddled flat-top dogs, frozen custard, crinkle-cut fries, beer, wine and more. • the Shack Attack, with chocolate custard, fudge sauce, West Loop-based Warm Belly Bakery’s double chocolate cookie, Mast Brothers Shake Shack dark chocolate chunks and chocolate sprinkles. Five percent of sales from the Pie Oh My concrete will support the Greater Chicago Food Depository, a spokeswoman said. Honeygrow and Do-Rite Donuts are also expected to open in the single-story Shapack Partners development next to Shake Shack this year.